KOEMMERLING uPVC window systems offer the most varied styles and designs..
Profine is the emphatic answer to the complex development of the international market for uPVC profiles. Under the brands KBE, KOEMMERLING and TROCAL, we produce uPVC profiles for windows and doors, shutters and façades as well as uPVC sheets. Profine GmbH -International Profile Group – was established in 2003, when HT TROPLAST consolidated its profile business activities under one roof. The profine company headquarters is in Troisdorf (North Rhine-Westphalia, Germany). Koemmerling is a word that was created over a century, thanks to the drive and vision of its founder. Today Koemmerling is one of the most trusted and recognized brand of uPVC profile across the world. We at Koemmerling are passionate about innovation and pit ourselves against the highest standards of quality and excellence. Every Koemmerling product speaks volume and is a manifestation of our commitment and passion. With unique raw material compound KOMALIT-Z, intelligent chamber systems, technically optimised designs and innovative research development wing providing impetus on value addition of product range. Koemmerling uPVC windows and doors are tested on various parameters and are exceptionally strong, durable and resistant to extreme weather conditions. 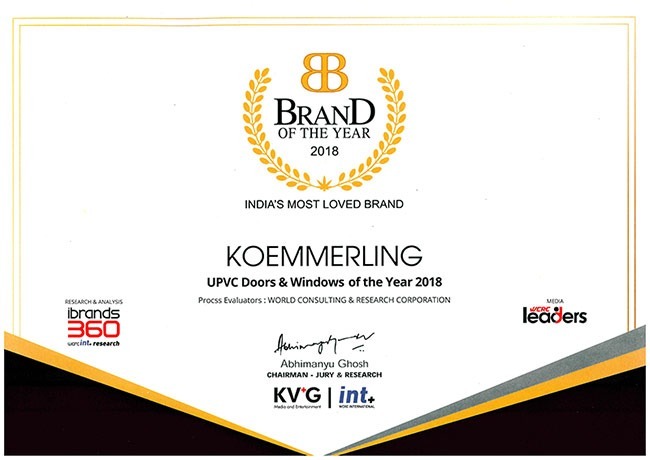 Over the years Koemmerling has gained utmost trust amongst uPVC window manufacturers across the globe because of their outstanding reputation for high quality and advanced technologies. It has set itself the goal of manufacturing window and door profiles for demanding applications, while equally focussing on aesthetic aspects. The brand aims to deliver the highest technical and physical performance values, together with an extremely long service life and minimal care and servicing requirements. High wind load performance: Koemmerling window’s high wind load performance can bring you calm days even during typhoons. Sound insulation: The noise levels especially in areas with heavy traffic can be considerably decreased by combining the uPVC profiles with specially insulating glass panes. Air tightness: Scientific design of Koemmerling window systems avoids the penetration of outdoor air, thus keeping the home dust free. 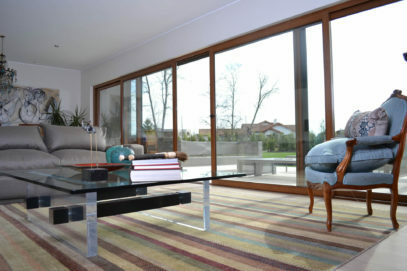 Long life and low maintenance: Koemmerling uPVC windows & doors do not draw any maintenance costs. They do not rot or corrode even in tropical and coastal weather conditions. Koemmerling profiles require minimal maintenance. Increased security: Koemmerling uPVC windows & doors with intelligent multi-point locking systems, offers superior security. 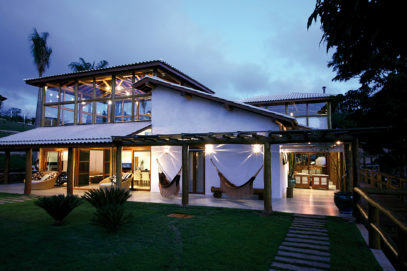 Thermal insulation: Koemmerling windows & doors have been tried and tested in tropical, hot and cold areas. Outstanding thermal insulation helps in saving energy, both in cold and warm weather. Environment friendly: The extrusion process of uPVC window and door profiles is relatively energy efficient compared with other traditional material. uPVC profiles are environment friendly as they are 100% lead free and can be fully recycled and reused. Company founded by Karl Kömmerling in 1897 is a strong brand of the profine group, Germany and its products are supplied in around 60 countries across the globe. Profine Group is one of the leading manufacturer of uPVC profiles for windows and doors, PVC sheets and shutter systems. In India, Koemmerling uPVC profiles are being manufactured from extrusion facility at Vadodara and having strong sales and distribution network across India. Koemmerling systems are popular among Architects, Builders, Developers, Interior designers and fenestration consultants for their requirements ranging from high rise buildings, homes, villas, hotels, offices, institutions etc.